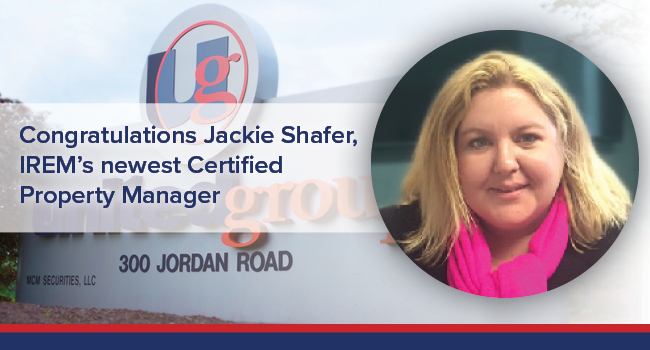 Jackie Shafer began her career in real estate as a leasing consultant for affordable housing properties. Twenty years later, she hasn’t looked back. The real estate industry has lead her across New York and Georgia, as she quickly rose through the ranks to property manager, operations manager, and currently regional manager for United Plus Property Management. She recently took another major step to further her career, spending twelve months studying and completing a demanding schedule of coursework and exams to receive the distinguished Certified Property Manager (CPM) credential from the Institute of Real Estate Management (IREM). IREM, an affiliate of the National Association of REALTORS, is recognized worldwide as a community of ardent real estate managers dedicated to ethical business practices, promoting innovative management techniques, and maximizing real estate investments. First, a potential candidate must qualify for a membership and be sponsored by a current Certified Property Manager. Shafer was sponsored by United Group’s President and CEO Michael J. Uccellini who also serves as IREM’s President of New York Capital Region Chapter No.93. “I’m very proud to now be a part of such an established and forward-thinking group of professionals in our industry. The studying, traveling and hard work has all paid off,” said Shafer. Shafer oversees sixteen properties in the company’s multi-family and senior housing portfolios. Her responsibilities include all operations as well as compliance with federal and state guidelines, maintenance, capital improvements, fiscal management, and work plan strategy and implementation. “Completing the coursework and earning my CPM credential helped me get an even deeper understanding of residential and commercial real estate, and I’m looking forward to putting the valuable knowledge and techniques to good use,” said Shafer.